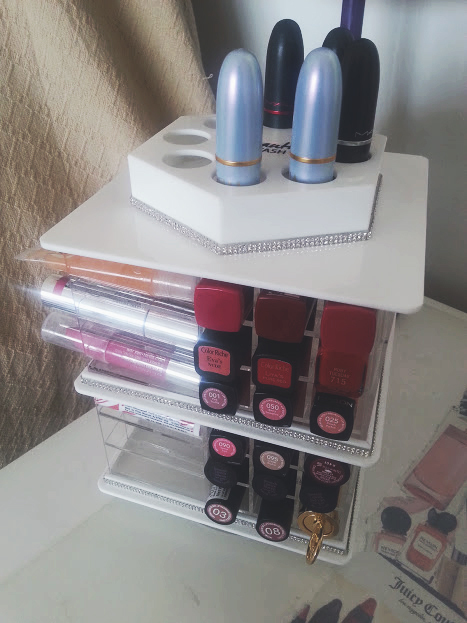 Behold the Beauty Stash Lipstick tower that lets you hold 80 (+8 at the top) of your favourite lipsticks. It's not like your ordinary acrylic storage, its much better and more exciting! I'm a lip product addict, and this is my heaven. 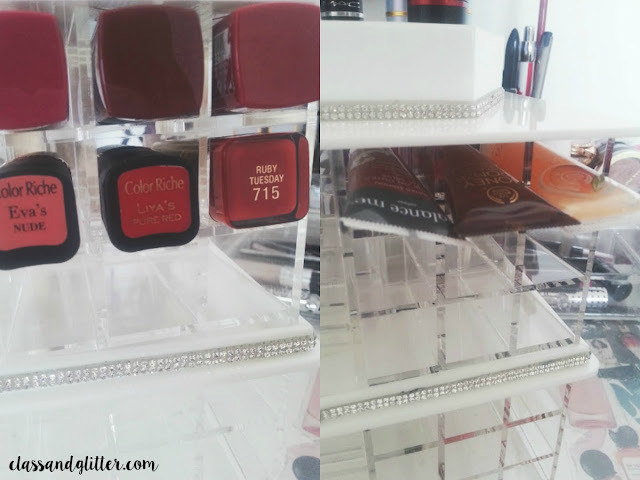 The Lipstick Tower from Beauty Stash is in my opinion revolutionary. It has been designed for all of us addicts out there, and allows you to fit your entire collection into the different sections. 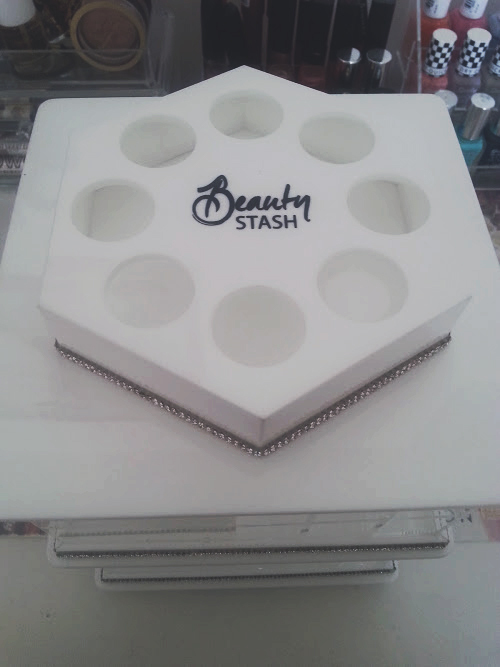 The tower come in both white (pictured) and black, with a crystal beading design around the edges and the top along with the BS logo. The top also allows you to fit an extra lippies in, where I have put my MAC lipsticks in you could pop in the ones you use on a everyday basis. The quality, standard, cut, finish, just everything about it is perfect and I can't stop staring and spinning it. Yes, you read correctly - it spins. Once you fill all the spaces up with your products, you can spin it round to your convenience and view everything you own. The best thing about this tower is that is allows you to pop lipsticks in the wrong way around so that you can view the shade, this then means you don't have to search for ages to find the one you need. 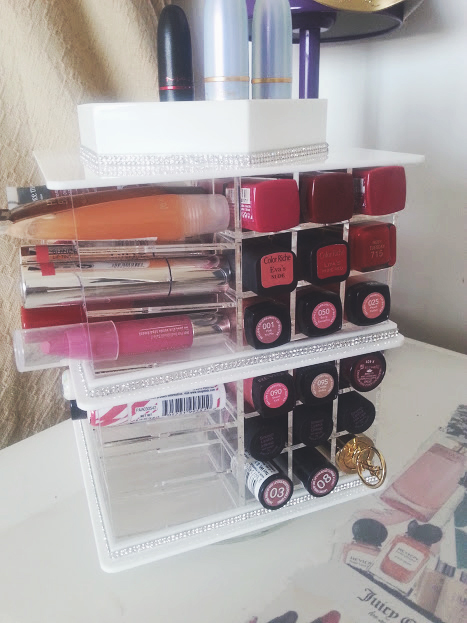 I also managed to fit some stubborn shaped lip glosses in the sections, and even though I haven't managed to fill up the whole tower, the areas I have filled up are full with all my favourite lipsticks and life has never been easier. 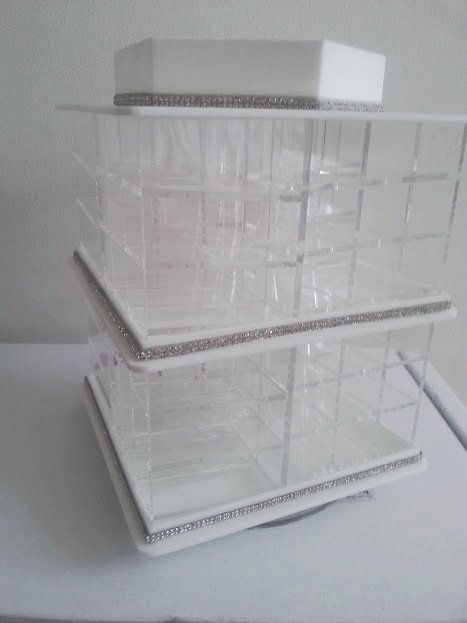 The Lipstick Tower Retails at £79.99, with payment plans also available. I feel very luck to have won the instagram competition and just had to share the tower with you all. If you would like to treat yourself to one then you can find them on the BS Website - HERE. To all my lip product devotee's out there, does this sound like something you might have to buy?